A small fire has just been spotted behind the Mojacar campsite, fire brigade advised but it’s spreading. Not much wind fortunately. Stay safe out there and I’ll post updates as I get them if the situation warrants. LATER: Amazingly fast response from the bomberos according to a message I just got from someone down that way. They’re spraying everything with water. Fingers crossed! A BIT LATER: It’s out now thankfully. No damage apart from a bit of scrubland. 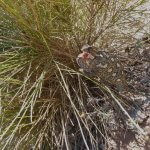 This entry was posted in Blog and tagged fire, mojacar by David. Bookmark the permalink.